A thousand mile coastline and communities where kayaks and subsistence hunting mix with modern fishing shape the far northwest as you move closer to Qaanaaq and the northernmost settlements in the world. This may be the Ultima Thule for many travelers, a frontier that inspires dreams of faraway lands, but locals have made the scarce ecosystems of the far north their home for millennia. Up here, the sun never sets from April until August, sea ice can close off boat traffic for 9 months a year, and nowhere in Greenland is the connection between modernity and tradition as visible as in Northwest Greenland. The world’s most northerly inhabited Inuit settlement, with a population of only 48 people. The main trade is hunting and fishing. It is a destination that has traditionally not been visited very often, but as the Arctic Ocean gradually becomes increasingly accessible, due to global warming, more and more expedition ships find their way to this isolated part of the world. During 2017 and 2018 Hurtigruten, Ponant and Quark Expeditions will visit Siorapaluk. The world’s second most northern town – only surpassed by Longyearbyen in Svalbard. A small town with a population of only 605. It is located in a stunning bay with glaciers and islands, and with huge icebergs floating by. Qaanaaq is only 100 km from Thule Air Base. 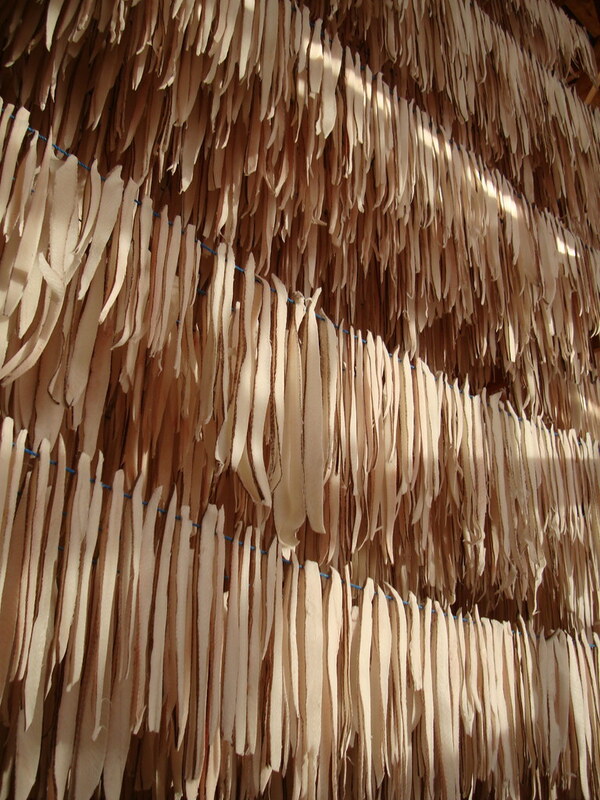 Qaanaaq has a small museum and is famous for beautiful bone jewelry and ‘tupilak‘ bone carvings. During 2017 and 2018, the cruise companies Hurtigruten, Hapag Lloyd and Quark Expeditions will visit Qaanaaq. When the US Air Force completed Thule Air Base in 1953, the populations of various settlements near Mount Dundas, just a few kilometres from the base, were resettled 100 km north to today’s Qaanaaq. Fortunately, in 2003 the people were awarded compensation by the Danish Government for the “unlawful act against the local population”. Today, only a few of the original houses are left, and the area is used for recreational purposes by the air base. During 2017 and 2018, Dundas/Thule Air Base will be visited by Hurtigruten and Quark Expeditions. The place with iron for making knives. About 10,000 years ago a meteorite with an estimated weight of 100 tonnes collided with Earth at Meteorite Island, where Savissivik is located. The American polar explorer, Robert Peary, managed to bring the famous meteorite ‘Ahnighito” to USA in 1897, where it was exhibited at the American Museum of Natural History. Today only 56 people live in the settlement of Savissivik. Their ancestors have lived off of sea and land mammals for centuries, utilizing the special meteorite iron for harpoons. During 2017, Ponant visits Savissivik. A relatively large settlement in Greenlandic terms, with 445 inhabitants. Kullorsuaq means “big thumb” in Greenlandic, and the place is named after a nearby mountain that resembles a big thumb. The settlement has both a school, a 170 sqm supermarket, and a communal service house with bath facilities and dental care. The French comedy “Le Voyage a Groenlande” from 2016 is taking place in Kullorsuaq. Quark Expeditions visits the settlement during 2017. The settlement was established in 1923 as a trading station. Today it has around 200 inhabitants. The area is well-suited for hiking and whale watching. 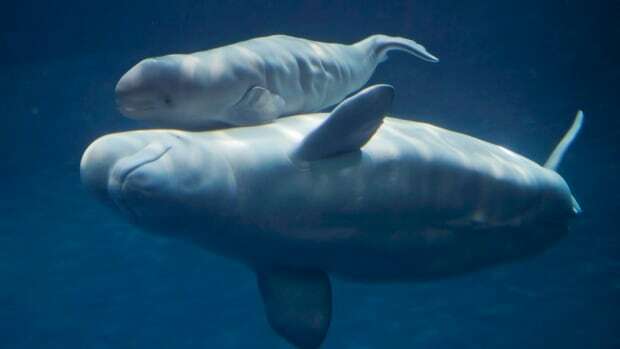 It is one of the few inhabited places in Greenland where you have a chance to see the shy beluga whale, which migrates during summer into the bay to forage on halibut and cod. Today, Kraulshavn is one of the most authentic hunting and fishing communities in Greenland. The cruise company Hapag-Lloyd visited Kraulshavn in 2016. The most northern town in Greenland with more than 1,000 inhabitants (1,053 to be exact, as of 2016). It is also the northernmost place where traces of Vikings / Norsemen have been found. The Kingittorsuaq Runestone was found in 1824 and originates from around 1300 AD. The local museum in Upernavik tells about this relic and of course the local Inuit history. Regent Seven Seas Cruises, Hurtigruten, Quark Expeditions and Phoenix Reisen visit Upernavik. This settlement has around 150 inhabitants, plus a church, a supermarket, a health clinic, a village hall and a fish factory. It is surrounded by stunning, steep mountains, which have distinct sharp zig-zig shapes. 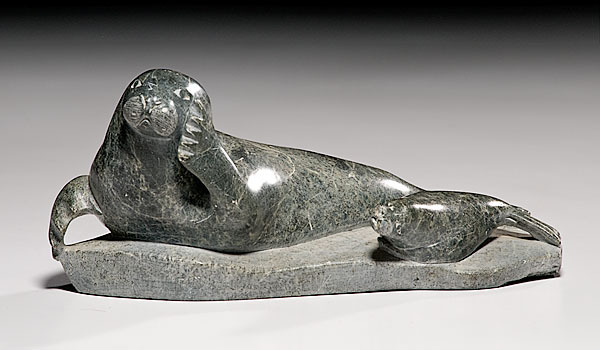 The name ‘Ukkusissat’ means ‘soapstone‘, named for the soft mineral abundant in the area and well-suited for traditional inuit stone carvings. Overall, it is a very interesting area for geology fans, as there are many types of minerals which are relatively easy to spot in the landscape. Ukkusissat was last visited by Hapag-Lloyd and Hurtigruten in 2015. With around 50 inhabitants it is a quite small settlement, but it still has a fish factory that is run by the close community as a cooperative. The settlement is portrayed in the 2013 film ‘Village At The End Of The World‘, which received wide acclaim from international film critics. The name ‘Niaqornat’ means ‘head-shaped’, and relates to the shape of the small peninsula which the settlement is located on. The Greenland Institute of Natural Resources has a small branch office there as it is an ideal place to study Narwhal and Beluga whales as well as seals and polar bears. Quark Expeditions visits Niaqornat during 2017. The name means ‘heart-shaped mountain’ and refers to the iconic mountain on Uummannaq island. With a little more than 1,000 inhabitants, it is a small town. One of Greenland’s most remarkable archeological discoveries, 8 mummified bodies, were found in 1972, in the nearby ancient settlement (dated back to 1475 AD) of Qilakitsoq. Trans Ocean, Hurtigruten, Quark Expeditions, Hapag-Lloyd, Regent, Plantours Kreutzfarten, Phoenix Reisen and Albatros Travel visit Uummannaq during 2017. The settlement has around 150 inhabitants, and the name means ‘the sunny side’, which refers to its position in the landscape. An ancient population that lived in Greenland around 4,000 years ago, called the ‘Saqqaq Culture‘, is named after the archeological sites near the settlement. Today’s residents of Inuit descent are, in fact, not related to the Saqqaq people, but rather to the people of different migrational wave, the Thule people. The archeological site of Saqqaq is within hiking distance from the settlement. Hannibal Fencker, settlement manager from 1942 to 1970, managed to grow sub-tropic plants like dates and lemons in their green house; the same house now hosts tourists. Saqqaq will be visited by Plantours Kreutzfarten during 2017. The name means simply ‘island’. Qeqertaq has around 100 inhabitants whose main source of income stems from halibut fishing via their own fish factory. Halibut is a valuable and quite-expensive delicacy, especially after being processed to produce ‘rækling‘, which is wind-dried halibut. The last time a cruise ship visited Qeqertaq was in 2013, and it was Oceanwide Expeditions’ ‘Rembrandt Van Rijn’. The town name means ‘the big island’, and is shared by the island on which it is located. Also commonly called Disko Island, Greenland’s largest island covers an area of 3,312.0 sq mi. The island has a volcanic geologic history and even has hot springs, though not easily accessible and not warmer than 65 degrees Fahrenheit. Qeqertarsuaq is known as a great place for whale watching, iceberg gazing, and hiking. Trans Ocean, Hurtigruten, Quark Expeditions, Hapag-Lloyd, Regent, Plantours Kreutzfarten, Phoenix Reisen and Albatros Travel are among the cruise companies visiting Qeqertarsuaq in 2017. Greenland’s most visited tourist destination by far. It is located at the mouth of the UNESCO-protected Ilulissat Icefjord, which is filled with huge icebergs from the fastest-moving glacier in the northern hemisphere, Sermeq Kujalleq. The icefjord has been visited by prominent guests like Al Gore, John McCain and German Chancellor Angela Merkel, as it is one of the places in the world where the effects of global warming are most noticeable. Ilulissat is a great place for activities like hiking, boat tours, whale watching and kayaking, and many cruise lines visit. See all the cruise calls to Ilulissat in 2017 and 2018 here. With a population of 1,080, Qasigiannguit is considered a small Greenlandic town. It is located only 30 miles south of Greenland’s main tourist destination, Ilulissat. The local museum has a great collection of traditional inuit skin clothes, and sometimes holds what it calls the ‘Living Settlement’ exhibition, where locals dress up in the traditional clothes and display everyday scenes from 1900 century Greenland. Qasigiannguit is a great place for whale watching and hiking. Hurtigruten and Plantours Kreutzfarten visit Qasigiannguit during 2017. After Ilulissat, Aasiaat is the biggest town in Disko Bay area, with a population of just below 3,000 people. Aasiaat is located on one of a group of smaller, relatively low rocky islands, called an archipelago, and is a great place for kayaking and whale watching. Aasiaat Museum has a permanent exhibition of local culture, history and art. The famous Danish painter, Per Kirkeby, stayed 3 months in Aasiaat in 1969, and 24 of his paintings from Greenland can be seen in the village hall. Poseidon Expeditions and Plantours Kreutzfarten visit Aasiaat during 2017. A small town with around 500 inhabitants, located on a low, rocky peninsula 33 miles southwest of Aasiaat. The area is rich with sea birds, sea mammals and fish. The main trade is fishing and hunting, and the town has its own fish factory producing dried fish and shrimp. If you want to see a charming, authentic small Greenlandic community with the typical multi-colored wooden houses, Kangaatsiaq is definitely worth a visit. Hapag-Lloyd visited Kangaatsiaq back in 2015.